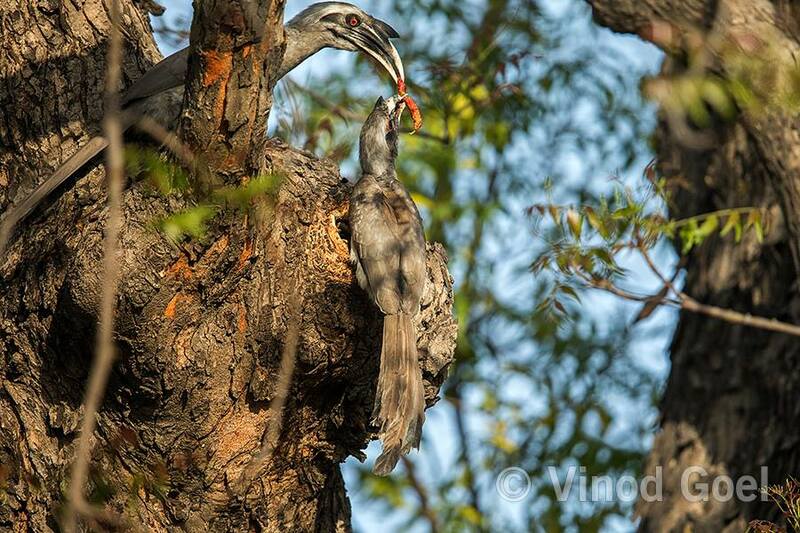 During the last 4 years since I started observing and photograph hornbills in Delhi, I have been able to capture the courtship including mating, entry of female into the nesting cavity as well as coming of a chick out of the cavity. It was in the early part of year 2013 when my interest grew in a common and not so attractive bird known as Indian grey hornbill. As I kept on observing its activities, the intensity of studying its behavior increased. In 2013, I recorded a male grey hornbill feeding a garden lizard to female in the cavity of a neem tree. I was fortunate to record the entry of female into cavity after courtship on 2nd April 2015 and coming out of chick from cavity and taking first flight of life into open sky on 8th July 2015. It appeared as if the mission of recording behavior of GREY HOBNBILL was over. But was there something beyond this? Last year again in March 2016 as I could not move out of Delhi on account of social obligations I thought of improvising my shots. 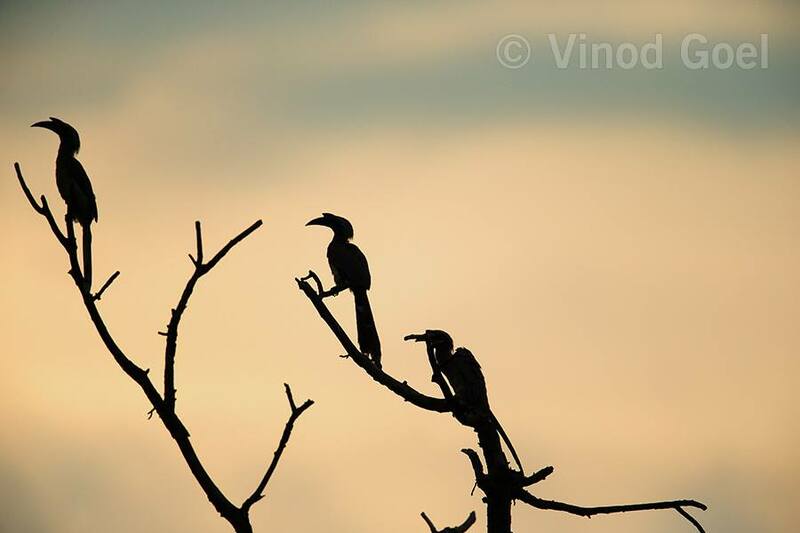 March is the month when Indian Grey Hornbill starts courtship, mating and entry in the cavity. On 19th March 2016, I observed their mating on a tree , male mounting over the female and turning of tail sideway by female so that the male can go for a cloacal kiss and genes from the male are passed to the female. On 20th March 2016 they were observed on the same tree. I observed the female to be more active during the courtship as it was trying to woo the male. What I observed during the courtship was that the female mounted over the male and the tail was moved so that there could be contact of the sexual organs and the genes could pass on. The mating process continued for about 45 seconds and finally the female demounted. I could not believe my eyes. I thought whether I am in my senses or I am in my dreams . I then reviewed the shots and I could see what is UNTHINKABLE. The female on top of the male during the mating process. Has anybody observed or shot this before? I don’t know. I was thrilled and on reaching my house rang up Sh Rajesh Bedi , the well known wildlife photographer. He said Goel Sahib “you have recorded one of the rarest shots of the natural history.” Later on Bombay Natural History Society (BNHS) brought the story in their editorial and the image on the cover page of their magazine Newsletter for Birdwatchers. After this God’s gift, I keep thinking, is there something beyond this ? Yes, the nature is unpredictable. One of the Courtship shot as well another image are in on going Exhibition held by ARAVALLI UTSAV at India Habitat Centre, Lodhi Road ,New Delhi. The exhibition is up to 20th November 2017.